Swedish brand L:A BRUKET presents the No. 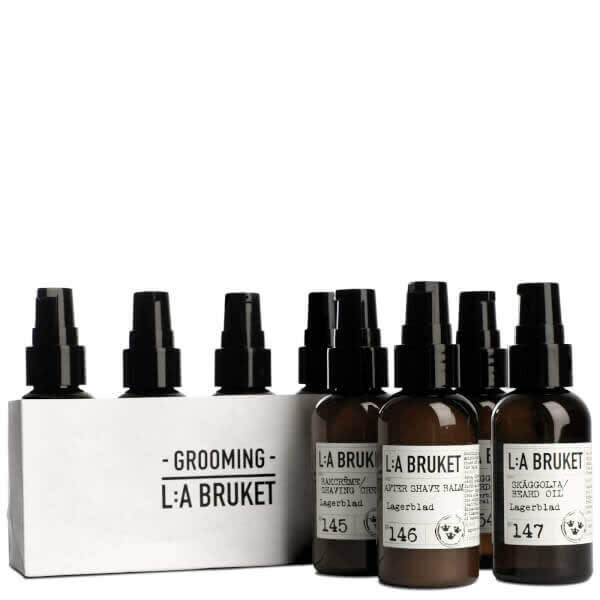 166 Grooming Kit, a four-piece set to keep beards feeling tamed, nourished and conditioned. It has natural and organic ingredients. The kit includes No. 145 Laurel Leaf Shaving Cream, No. 146 After Shave Balm, No. 154 Beard Wash, and No. 147 Beard Oil.